•	Proven results make Philips Sonicare the number one sonic toothbrush brand recommended by dental professionals worldwide. 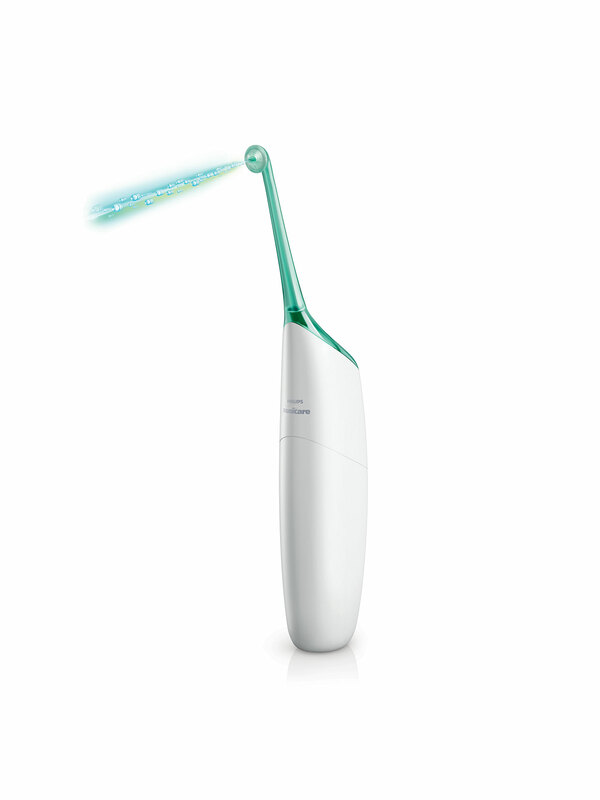 •	Sonicare’s technology provides superior plaque removal, because it cleans in a way that a manual toothbrush can’t. •	Stimulates a dynamic action that pushes fluid around the entire mouth, effectively cleaning under the gum line and between the teeth. 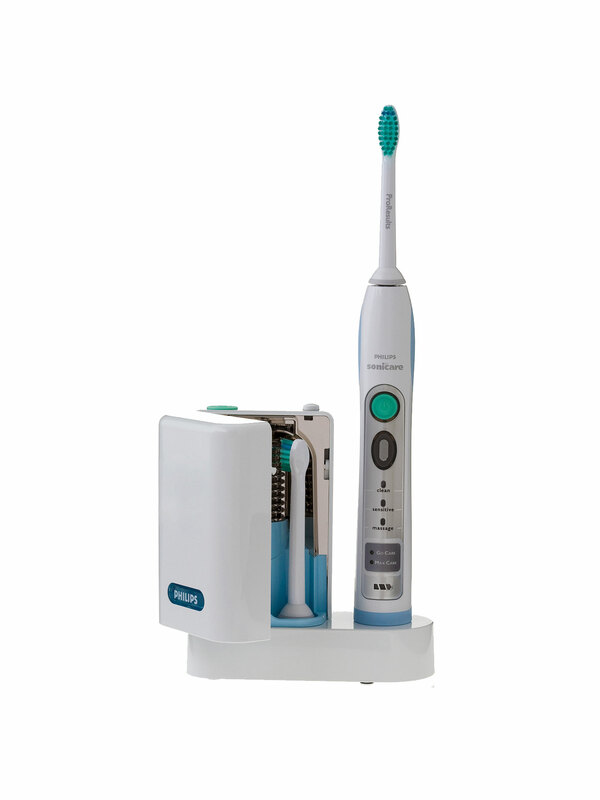 •	Sonicare removes everyday coffee, tea and tobacco stains. So your teeth will be naturally whiter in 28 days or your money back. 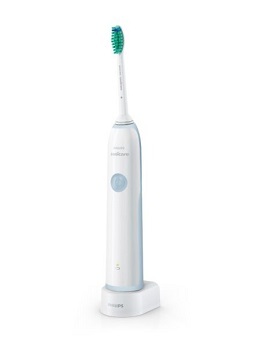 •	Philips Sonicare thoroughly removes disease-causing plaque and improves gum health within 2 weeks. •	Gentle brushing action helps prevent gum recession. 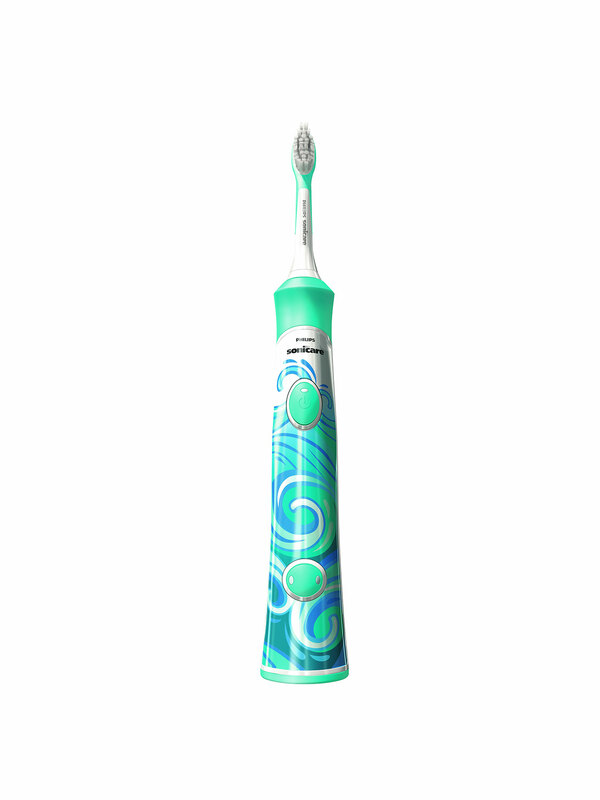 •	Sonicare is gentle on gums and even sensitive teeth. It has extra-soft bristles and is clinically proven to be less abrasive on the tooth’s surface than manual and electric brushes. 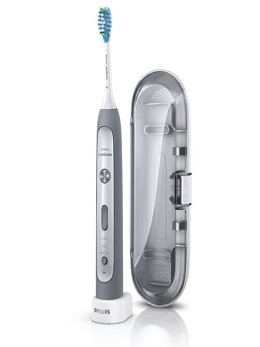 •	Fully rechargeable, it comes complete with long-life lithium ion battery that stays charged for up to two weeks of daily brushing, making it convenient to use at home and when travelling. 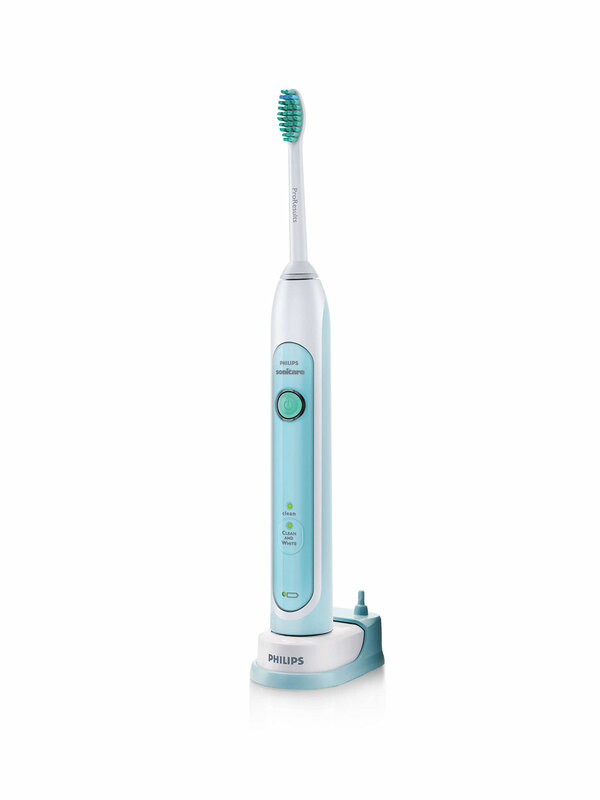 The Philips Sonicare EasyClean uses the same cutting-edge supersonic technology as the premium models, at a consumer-friendly price. EasyClean operates at sonic speed (up to 31,000 brush strokes per minute) resulting in cleaner, brighter teeth and healthier gums. The patented sonic technology drives fluid between the teeth and along the gum line to give better plaque removal than a manual toothbrush. 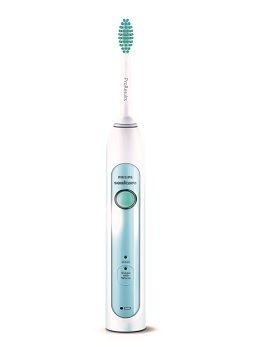 The ProResults brush head provides a comfortable brushing experience and outstanding plaque removal. 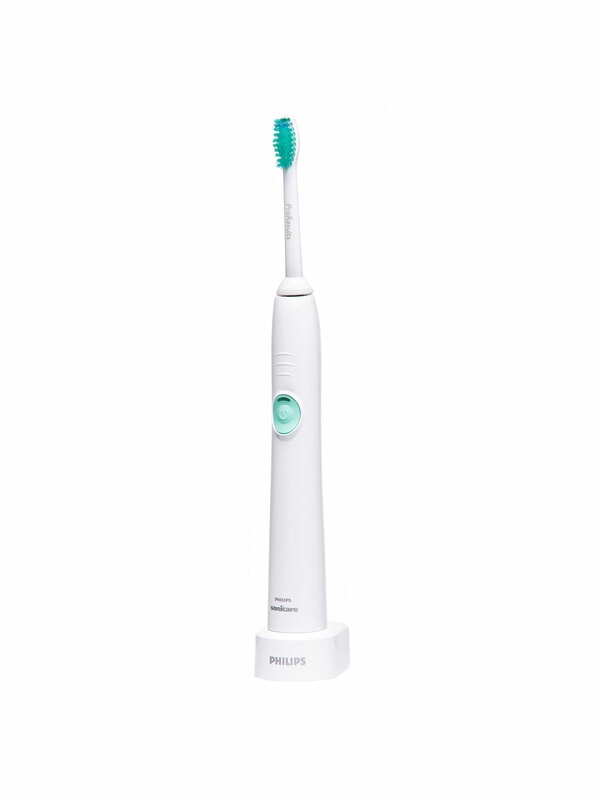 Sonicare Sensitive heads x 4 (HX6054)Designed especially for sensitive teeth and gums, Philips Sonicare Sensitive toothbrush heads feature extra-soft bristles that gently brush away plaque for an effective, thorough clean. The reminder bristles fade to let you know when it's time for replacement. For ideal results, a new brush head is recommended every three months.